Although not a big industry in the Rio Grande Valley, there is some local wine production. For the past 27 years, crop research at Rio Farms, a non-profit education and research organization in Monte Alto, has included grapes. “It all started when we began work to find table grapes that could grow under South Texas environmental conditions,” said Andy Scott, Director of Research at Rio Farms. They tested several grapes, but none of the table grapes lived. Instead, two wine grape varieties — Black Spanish and Blanc du Bois — emerged as likely candidates for South Texas growing conditions. “Like any crop, we spent time learning how best to grow these grapes and understand the various challenges of disease and insects,” Scott said. Both the Black Spanish and Blanc du Bois grapes are resistant to Pierce’s Disease, a deadly disease that has affected the industry in warm areas across the country. “Additionally, our hot, dry conditions, especially at the time of harvest, are most beneficial for attaining the optimum sugar levels in the grapes,” Scott said. As the wine industry in Texas has grown, so has production in the Rio Grande Valley with Rio Farms and several growers supplying grapes for winemakers. “The Blanc du Bois and Black Spanish grapes have been utilized by several vineyards, especially those in central Texas, and have won industry competitions, so we are very proud of our grapes,” Scott said. Each year Rio Farms holds an educational event to discuss the latest information on its research, give information on production issues and provide a farm tour of their vineyard. This year, its annual Grape Growing and Wine Festival will be held from4:30 to 8 p.m. on Saturday, April 7, at its headquarters at 25601 FM88 in Monte Alto. This event is free and open to anyone who is interested in growing grapes either commercially, or for their own personal use. On the program this year is Craig Ledbetter, of the United States Department of Agriculture in California, who will talk about a new research project with Rio Farms, “Developing Pierce’s Disease Resistant Table Grapes,” in South Texas. Also, on the program is Fran Pontasch, viticulture program specialist with Texas A&M AgriLife Extension. Pontasch will talk about starting grapes off on the proper trellis system and how this affects wine quality. Four commercial winemakers will have samples available of their wine and will discuss how South Texas grapes have been used in their products. 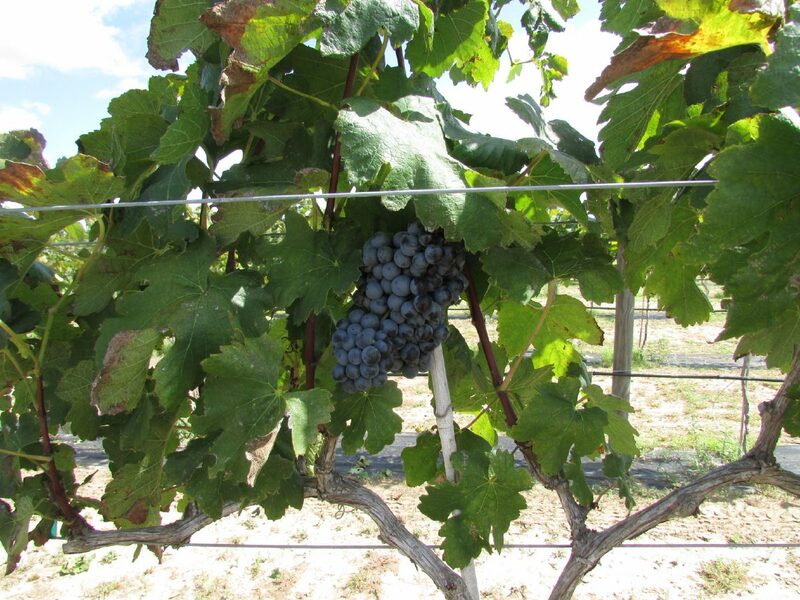 Included in this group of commercial winemakers are two new wineries located in South Texas. One is the Monte Alto Vineyard in Monte Alto, owned by Norma Santos Sanchez and the other winery is Dos Rios Winery of Rio Grande City, owned by Delfino and Nora Garza. In addition to the commercial wineries, several home winemakers will also have samples of their products available. Anyone who is interested in attending this free event can pick up a copy of the complete program agenda today at the Growing Growers Farmers Market, in Firemen’s Park, at the corner of 1st Street and Business 83 in McAllen. Market hours are 9 a.m. to Noon. You can also contact Rio Farms at (956) 262-1387. Barbara Storz is a local horticulturist. You can listen to her gardening show at 710 KURV Radio or email her at bstorz@rcommunications.com.